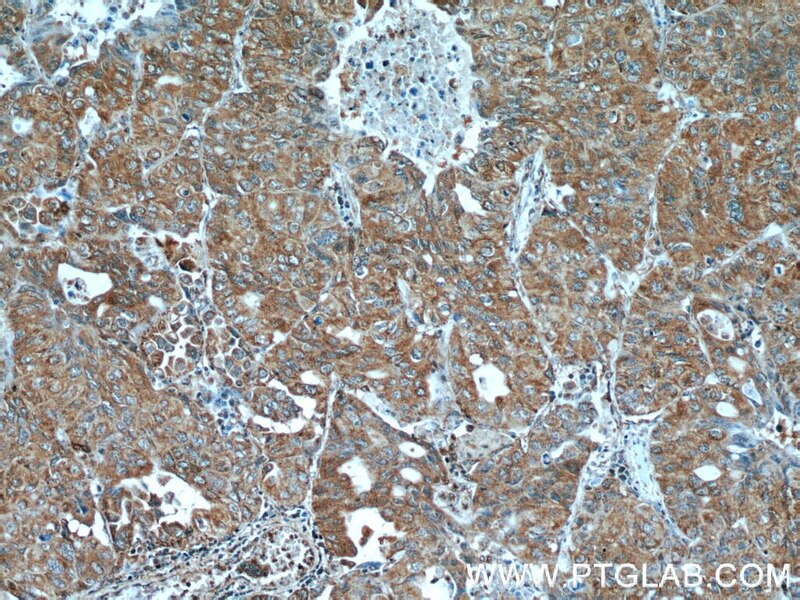 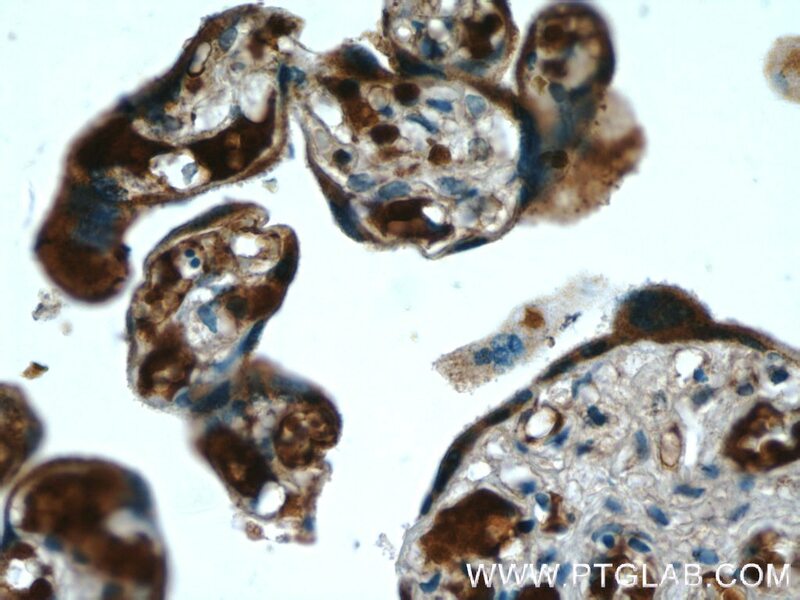 Immunohistochemical analysis of paraffin-embedded human placenta tissue slide using 25014-1-AP( hCG alpha antibody at dilution of 1:200 (under 10x lens). 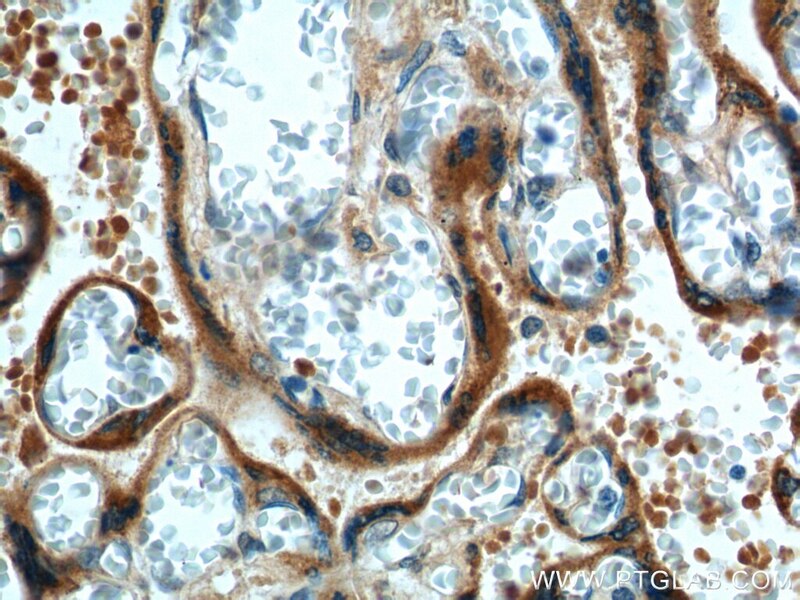 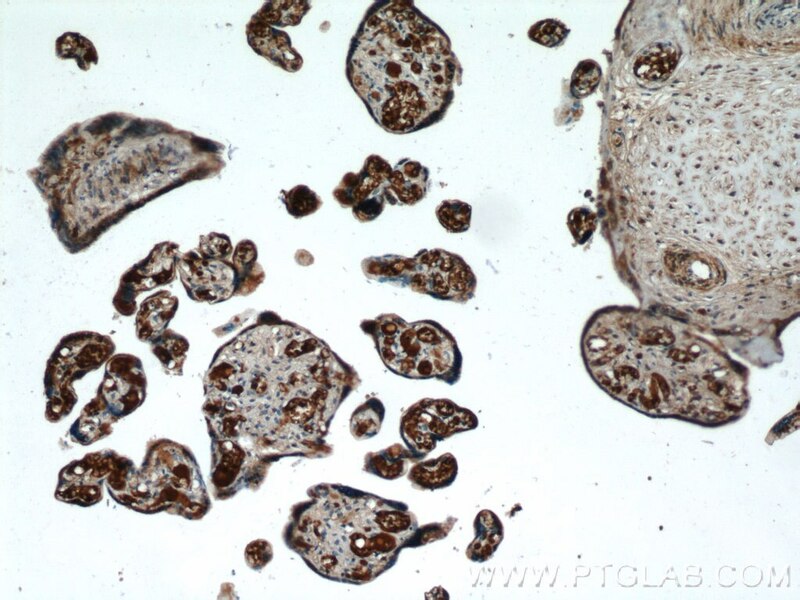 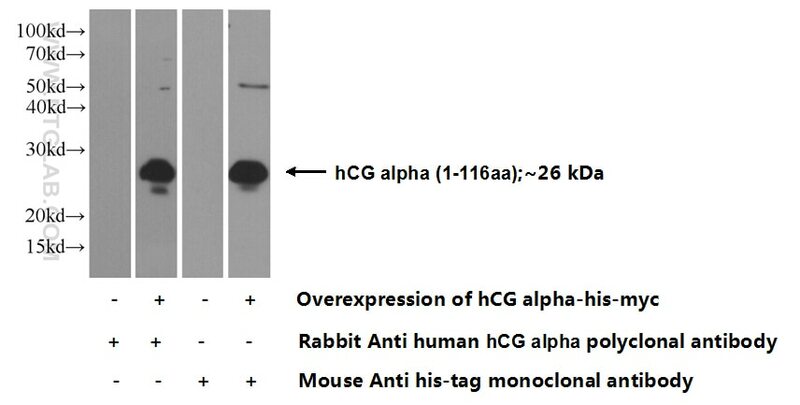 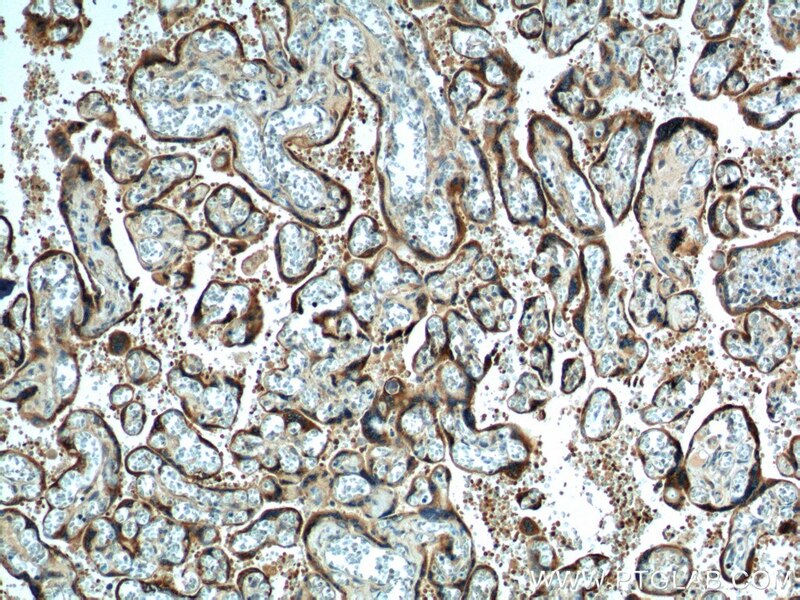 Immunohistochemical analysis of paraffin-embedded human placenta tissue slide using 25014-1-AP( hCG alpha antibody at dilution of 1:200 (under 40x lens). 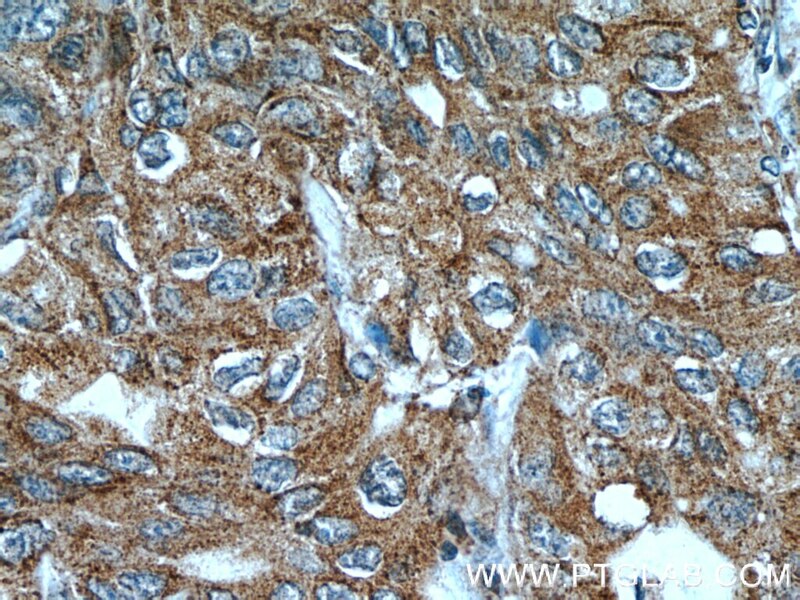 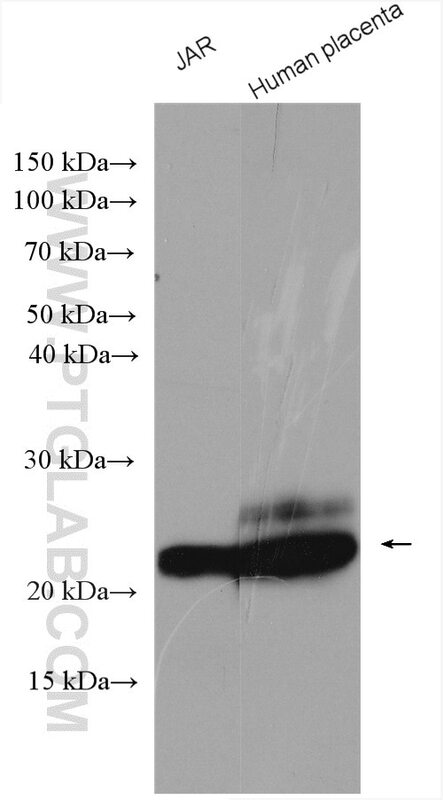 A Patient with a Thyrotropin-secreting Microadenoma and Resistance to Thyroid Hormone (P453T).